Why bother with an AWSC, we have the Ted Kennedy National Service Act of 2009. The Ted Kennedy National Service Act made “some” laudatory steps forward, but has since been marginalized, click here for more details. 2. Why even introduce the World Service Corps legislation?It is too long a shot to have a Congressperson carry the legislation. Many pieces of legislation originate with constituents. Corporate lobbyists draft innumerable pieces of legislation to benefit their clients, in which well-funded ALEC (American Legislative Exchange Council) specializes. True persons, versus constitutionally debatable corporate persons, have every right to have their representatives carry legislation. Congressional reps are our employees. If passage of this legislation is debatable, then have the debate begin. Attentive debate forces thinking. Thinking can lead to understanding. Deeper understanding improves the nation and world. 3. We don’t need another big government program.Why start a new bureaucratic program? This is structured as a public – non profit joint venture, using existing organizations that have stellar service records to help more Americans combat terror and ignorance by doing what American do best — serve at home and abroad. It does not start a new, big government program. It expands the solid, beneficial experiences American can live and learn within existing do-good organizations. The WSC funnels America’s best resources – can-do, productive Americans into serving America and the world’s needs. 4. America doesn’t have the revenue to fund this.We already have a huge deficit. Why shouldn’t we just save the money? The failure to implement a policy such as this decades ago is the reason we have humongous war costs, and this contributes to our soaring deficits. This is a long tern answer to reducing our future monetary and human costs, and it is immediately more cost effective than resorting to costly warfare. By 2004 the yearly cost of maintaining each of our 1.4 million volunteer military just in the Defense Department budget touched $300,000. When the conservatively estimated war supplemental, off budget costs, and some of the veterans and social costs are added to the 2006 military budget, the annual costs of maintaining each of military personnel soars over $600,000 annually. See “It’s the economy, stupid..” in Coverage section for detailed numbers. The cost of maintaining a Peace Corps volunteer for a year is about ten percent (about $40,000 per year) of maintaining a military personnel, and there are no-post service social, medical, physiological, or educational costs, only benefits. By 1970, when President Kennedy wanted one million Peace Corps volunteers to be serving in the world, we had over 400,000 soldiers in Vietnam. The conservatively portrayed Vietnam War budget item was $16,260,000,000, making the cost per American soldier just in Vietnam over $39.000. The cost of a PCV at that time was $7,700. With just 20% of that year’s Vietnam War budget, we could have put 420,000 PCVs into the world in just that year. Changing the world through the Army or Maine Corps is bloody expensive. World Service Corps is cost effective and all but irrefutable. It is the means to reducing future costly expenditures. It is how you cost effectively build and rebuild nations. 5. We do enough for the world, and the world doesn’t appreciate us enough as it is.Why should we waste our time, energy, and money on helping more? Much of the world sees our foreign aid and policies as manipulative and premised on American corporations earning and controlling their economies. Our service programs are not viewed in such a negative way. The WSC will send red blooded Americans, from red and blue states, to serve at home and abroad. They will not be viewed as corporatizers. They will not be giving handouts with string attached. They will help where help is needed. They will, in the proverbial sense, be helping people fish within their own cultures, not handing our American fish. Our best foreign policy lies in letting the world know the true character of Americans doing service. The AWSC is the antidote to the terrorists spreading ignorance about America and our being ignorant about the diverse and complex world. 6. Since Peace Corps volunteers will be an agency that makes up part of the WSC international service, how many PCVs have and are serving in troubled spots like Pakistan, Afghanistan, Iran and Iraq? From 1961-67, 462 PCVs served in Pakistan. None since. From 1962-1979, 1,739 served in Afghanistan. None since. From 1962-1976, 1,863 served in Iran. None since. PCVs were never diplomatically placed in Iraq, North Korea, Cuba or Palestine and Israel. In all of North Africa and the Middle East, they have only served in Morocco and Jordan. In the fourteen nations from Egypt to Iran, 432+ million people reside. To offset the image they are developing of America, 39 PCVs serve in Jordan. That is about 1 for every 111 million people. If you want to win the hearts of the troubled world, do you think it might be helpful to work amidst them in their mean streets and arid fields? 7. Is it Christian to just wait till violence erupts against you and then just drop bombs? Had we had a hundred thousand PCVs serving in these nations by now, as Kennedy envisioned, do you believe we would have lost about 2,000 American lives, unnumbered maimed and wounded, be looking at a conservatively covered $500 billion war bill over the last few years, and be looking forward to untold medical and social costs for our vets? Peacefully warring against the causes of terror is always much cheaper and healthier than warring. The longer one puts off peacefully warring, the more expensive becomes the later military cost. 8. We shouldn’t even suggest peaceful, productive national service, even if it would benefit America or the world because it might induce this administration to return the draft. In the 2004 Congress a bill and resolution were introduced to resurrect and rebuild the Selective Service System (draft). an extra $28 million in funds was directed to revive Selective Service offices. Legislation is already on the table in both the House and the Senate, in the form of twin bills SB89 and HR 163, “in order to staff up for a protracted war on terrorism,” writes Adam Stutz, from Project Censored. Meanwhile, the Selective Service System has received an extra $28 million in funds for this year’s budget to fill all 10,350 draft board positions and 11,070 appeals board slots nationwide and put “troops on the ground in 85% of all American high schools to make sure no one between 18-25 years old slips through the cracks. Schools cannot very easily claim conscientious objector status, by the way. “Buried deep in the 670 pages of the No Child Left Behind Act there is a provision which requires that public high schools give military recruiters access to facilities and also contact information for every student — or else face a cutoff of federal aid,” writes Connor Freff Cochran of AlterNet. U.S. Preparing For Military Draft in Spring of 2005, “Legislation in the works: Selective Service System already mobilizing,” May 6, 2004 Issue, Utne Reader. In 2005 the former Marine UNSCOM weapons inspector Scott Ritter said the we should get ready for the draft and said on Randi Rhodes Air America that he believes plans have been discussed in the Executive Office to attack Iran by mid-June. He accused Secretary of State Rice of lying when she claimed that plans have not been laid for such an attack. In mid-June 2004 the Selective Service offices were told to be ready to be operational. Arms Inspector Turned Peace Activist Says Get Ready for the Draft, Published on Saturday, March 19, 2005 by the Hudson Valley News (New York. If a military draft returns, shouldn’t an alternative already be passed into law and working. The work of the WSC would make life easier for the strong military by giving them fewer crisises to face and thereby keeping their morale high. We need a strong military. The military needs a corps of peaceful, productive volunteers, so that their job is clearer and safer. 9. . How many people currently volunteer on an annual basis for the organizations (e.g., Habitat for Humanity) that will be covered by this bill? Peace Corps since till 2016 = 220,000 PCVstrained and served since its 1961 inception. Best year 1969 with about 15,000. Since then budget and emphasis cut. Headstart 60% of eligible pre-school children are in Head Start, and only 3% of eligible infants and toddlers are in Early Head Start. In Maryland, about 25% of eligible children under the age of six are in Head Start and Early Head Start. Head Start is for the poorest children 74% of Head Start families are at or below the poverty level. These children are often the farthest behind in learning to read and learning the alphabet. Yet Head Start makes a difference: in one year these students go from the 16th percentile in vocabulary to almost the national norm. President’s 2005 budget provides just enough money to allow Head start to reach a mere half of all eligible children. 9. How do the stipend/pay and benefits (e.g., educational) earned in the program compare to those received by people volunteering for military service? In 2006 Congressman Murtha has used $150,000 figure to estimate signing/educational bonuses used to attract military recruits, which has been increasingly difficult. Depending on what “kickers” one includes, military recruits are offered from 20,000 to 40,000 to 90,000 to $162,000 in signing and educational bonuses to volunteer. Last year the Army fell 7,000 recruits short of its goal of 80,000 new troops, the largest recruiting shortfall in decades…. 10. How much will the program cost under the primary bill assuming the participation rates the bill anticipates and including accrual for benefits as they are earned? America’s World Service Corps (AWSC) would ramp up by about 140,000 per year until it meets its quotient of one million Americans serving annually under the umbrella of AWSC. Ramping up to handle more volunteers should not costs these organizations much since much or most of their infrastructure is already in place. There would be some additional costs to handle the additional volunteers.Over the course of a few years these additional per volunteer costs should fall as economies of scale settle in. So in time the per volunteer cost will not add much to their existing per volunteer costs. In many cases, assistance from domestic communities and foreign nations, who will be grateful for the volunteers work, will be expected. and may provide housing and other amenities that keep costs in check. 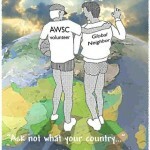 Half of AWSC organizations are Non-Governmental Organization (NGOs). Daily living expenses of volunteers to these organizations would be borne by NGOs thereby reducing those costs from federal responsibility. Daily living expense of volunteers choosing to work in the governmental organizations would be a federal or state governmental cost. Two years of public college or university tuition and fees which in 2004 averaged approximately $6,600 nationwide. Consequently, the federal government would be responsible for an investment of approximately$17.200 in America’s best foreign and domestic policy resource – its can-do people. An readjustment allowance will be given to each full-time volunteer who completes service that is equivalent to that received by a Peace Corps volunteer. 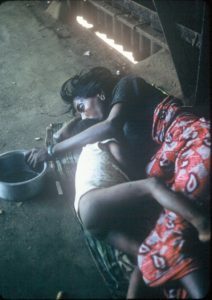 In 2005, a PCV who completed two years of service received a cash readjustment of about $6,500. * Cost saving benefits and reduction in future domestic costs such service accrues to local communities. * Reductions in international disdain, hatred, and ignorance such service does. Vietnam, Afghanistan, or Iraq war causes. Below $15,000 and in some analysis amount to $0. per volunteer cost and a net savings to our nation. About a half dozen states have Conservation Corps programs. (California has a CCC whose budget and outreach has fallen since about 1992. ? ?check) Some AWSC volunteers may choose to do their service through them, further reducing the federal annual service cost. Those states with existing programs whoalready have an infrastructure in place willl find a slight increase in costs, but they will also find that they are better able to preserve, prepare, and conserve state environmental and social needs, thereby reducing future costs. Nominal or negligible state costs where CC programs already exist. And cause federal day-to-day costs to fall. Increasing participation in state conservation corps (as will participation in all the other AWSC organizations) also gives states the ability to better prepare for and more quickly recover from natural disasters that seem to be increasing. Better preparation and recovery reduces the economic costs of disasters. Quicker recovery cost effectively re-ignites business and economic recovery, which reduces federal costs. Implementing the AWSC legislation may inspire more states to institute state conservations corps, so that their states young people who volunteer to serve their state and nation via conservation and appropriate technology work could benefit from the federal educational bonuses. This would reduce federal day-to-day costs and keep the educational bonuses costs the same. In effect, this would be another reduction to federal costs in implementing the AWSC program. Slight reduction in federal costs. How many ot the AWSC volunteers would choose to serve for one, two, or extend for a third year? Or a reduction in educational investment/bonus of $8.600. for each of approximately a half million volunteers. Some well-off baby boomers, retirees, etc. may decide not to take the bonuses they have earned and instead choose to dedicate it to a community educational scholarship fund or foundation or if they were deep-rooted believers in laissez faire could choose to return it to the federal treasury. Donating it to others education would strengthen the nation and reduce crime, causing a savings. Since few seem to live by often expressed beliefs of pure volunteering and not accepting government investments, the savings here may be nominal. The three sources of financing provide further cost savings. AWSC web site listing Low or Non-Taxpaying large Corporations. Using research from CTJ (Citizens for Tax Justice), Institute on Taxation and Economic Policy ((ITEP). and government sources, which relying on public informing, will asks these corporations what they will donate to underwriting, without further tax deductions, to reduce taxpayers contribution to funding AWSC. Corporate Income Taxes in the Bush Years, released Sept. 22 by Citizens for Tax Justice (CTJ) and the Institute on Taxation and Economic Policy, finds 82 of 275 companies CTJ examined enjoyed at least one year in 2001–2003 in which they paid no federal income taxes yet received billions of dollars in outright tax rebates. In 2003 alone, 46 of the companies paid no federal income taxes and in some cases, received tax rebates. The companies, all on the Fortune 500 list, were profitable in each of the three years analyzed. AWSC web site listing the Forbes Richest. This web site will list what Forbes Richest donate to underwrite the building of AWSC. Several billionaires and multimillionaires, from the likes of Gates, Buffet, Soros, Turner, Walmart family members, etc, might contribute to funding the cost of sending and investing in America’s best resources – its people – in order to build a safer, saner world in which business grows. $1.000,000,000. – 4,000,000,000 federal cost reduction. This $3.7 billion averages to about two weeks worth of Iraqi War costs over the 2004-2006 years. Use the AWSC to eliminate one war over the next generation and we give our economic and human resources room to boom. Putting eight months of funding the present Iraq War into a lock box would fund the AWSC for about 27 years. Were a detailed cost/benefit analysis done, the AWSC would cost even less than the $3.7 billion annual estimate listed here. Were long term, hidden, supplemental, etc costs (see PLEF WSC showing cost per MP at $600,000 annually) of the Iraq War included in these calculations it would take only a few months of an Iraq War to cover all of the AWSC costs. IF the AWSC keeps us out of one war each generation or two, how does one enter the savings in loved ones, blood, and dollars?